The ancestry of Chemdawg is a mystery. What is not a mystery is the sheer power of this strain. THC levels can be as much as 26%. This has made it a much in demand strain for those wanting to breed their own power strains. It is the parent of the much appreciated and potent Sour Diesel as well as the famous OG Kush. Its name, Chemdawg, is thought to refer to the strong smell of diesel that will buckle your knees from an innocent sniff. May Relieve Chemdawg buds are a powerful medical strain. 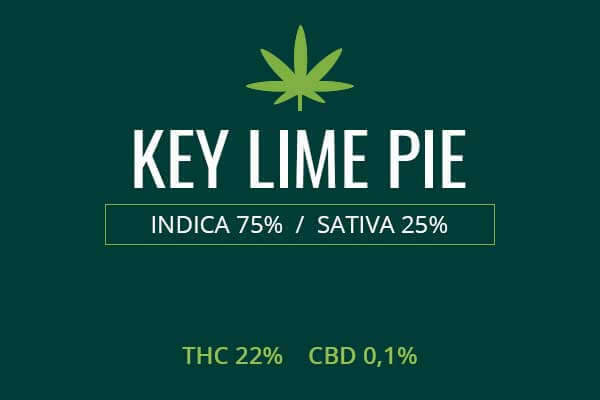 The high THC levels can address musculoskeletal pain, neuropathic pain, and migraines. 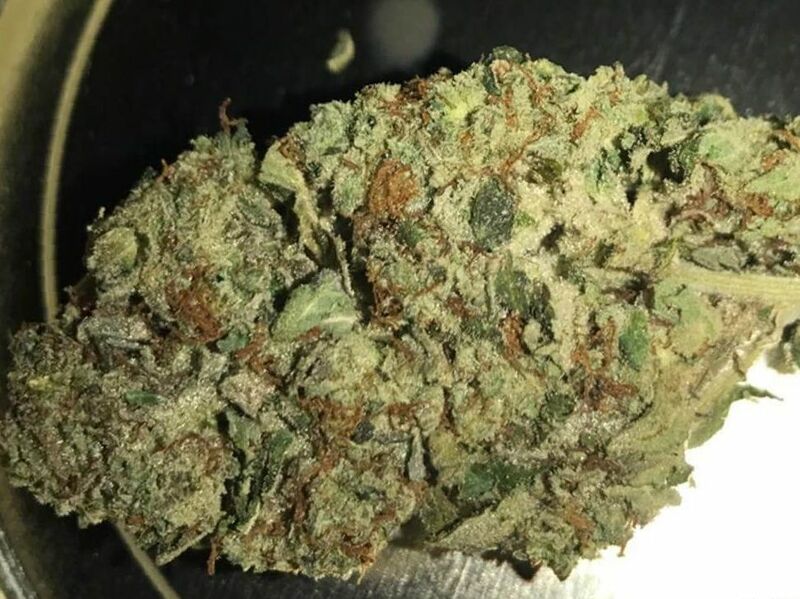 Chemdawg is also excellent for reducing nausea and improving appetite for those with conditions such as wasting from chemotherapy and radiation treatment for cancer, HIV wasting, anorexia, and other wasting syndromes. Chemdawg can be used at night to fight insomnia. Indoor/Outdoor Yield Chemdawg is notoriously difficult to grow and must be cultivated by experts. Grown indoors, a yield of 28 ounces per meter squared can be expected. 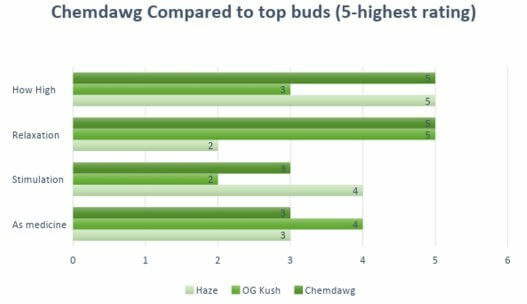 Grown outdoors, cultivators can garner 28 ounces per plant of powerful cannabis. Flowering time Chemdawg plants will flower in eight to nine weeks and be ready to yield its bounty of THC and other cannabinoids and terpenes. 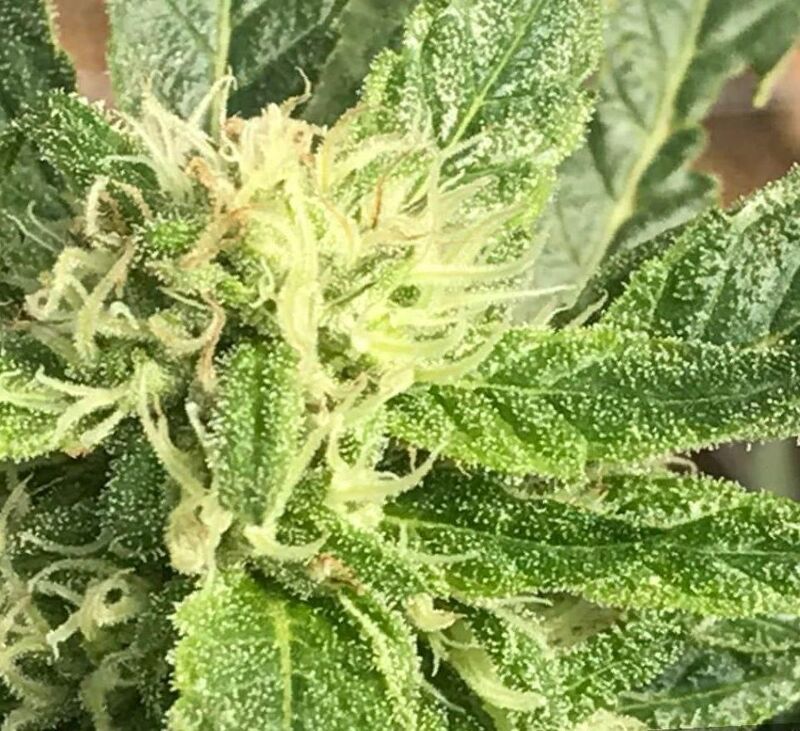 Harvest Chemdawg will flower and be ready for harvest in the month of October. Plant Height Chemdawg marijuana is a comparatively tall plant, up to and beyond 80 inches tall. Adverse effects Chemdawg marijuana has few side effects compared to comparable pain medications like opioids. However, due to its potency and high THC levels, some users can experience dry mouth, dry eyes, anxiety, panic attacks, and paranoia. Chemdawg is a powerful and legendary hybrid. Chemdawg is absolutely powerful. It can have THC levels up to 26%. 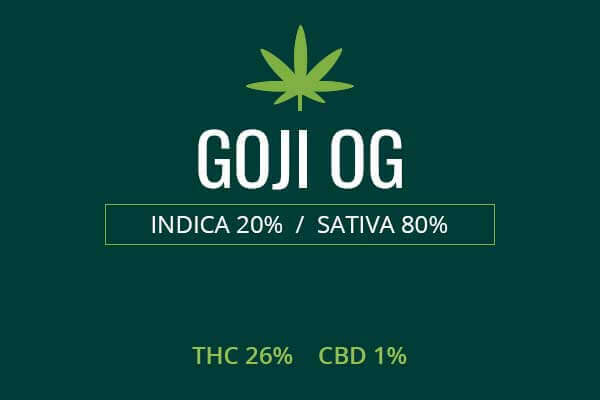 It has been used as a parent strain to many other varieties of marijuana, including Sour Diesel and OG Kush, both legendary in their own right. It is not clearly known which strains are parent to Chemdawg, and there are many varieties of Chemdawg, including Chemdawg 91. This is not a grab and go weed. After toking on this weed, you will need time to chill and relish the high and medicinal effects. It is thought the parent strains may be Sativas from Nepal and Thailand, due to similarities, yet, this ghost strain seemed to appear unaccountably out of the haze of experimentation over the latter decades of the last century. It is known for its powerful chemical, diesel fuel fragrance which gives a clear indication that this is not a weed to take lightly. The Chemdawg plants are fairly tall. They require a great amount of care. Its famous fan leaves mask stems with buds which are light green with orange pistils and stigmas, then a virtual blanket of frosty white icing, the valuable THC-rich trichomes. Trichomes also contain the terpenes and CBD. These parts are the plant’s protection against predators. An insect that eats it will get a nervous system full of cannabinoids which will deter, mind-control, or kill the predator. Human users use it for its psychoactive properties of course. The smell of Chemdawg is the likely origin of its name. Chemdawg smells of diesel, fuel, chemical, lemon, earthiness, and pine. The smell will knock you off your feet even before taking a hit. Growing weed from Chemdawg cannabis seeds and cuttings is said to be a fairly difficult task and should only be undertaken by professional growers. The difficulty of growing this strain is one reason so many varieties and offspring strains exist. 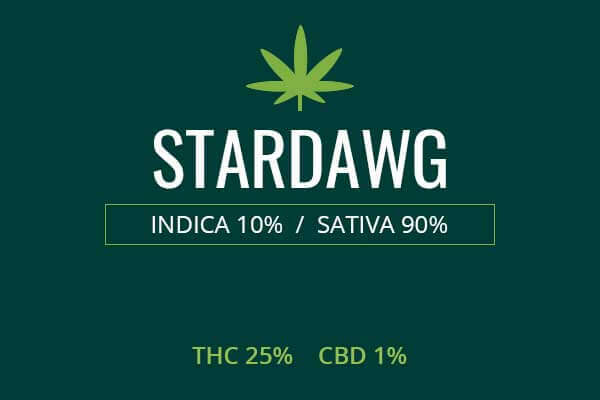 These strains were bred to make it easier to get the power of Chemdawg without the labor intensive gardening required. Chemdawg must be grown with carefully controlled humidity levels and in a good natural soil type. Indoors, cultivators who have carefully maintained a sunny and dry environment can expect these plants to flower in about nine weeks. It will yield a bountiful 28 ounces per square meter. 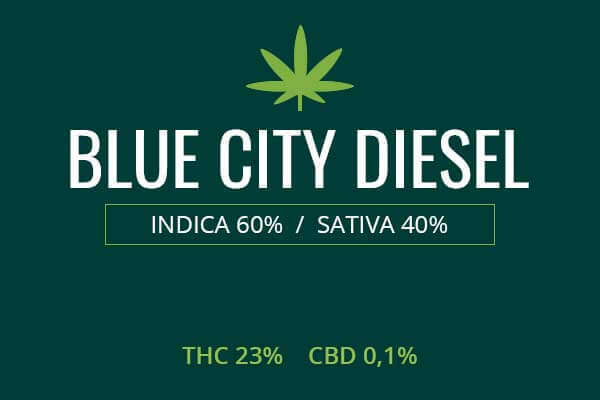 Growers who are able to find the perfect outdoor conditions for this plant, sunny, dry, Mediterranean conditions, can expect a whopping 35 ounces per plant of extremely potent weed. 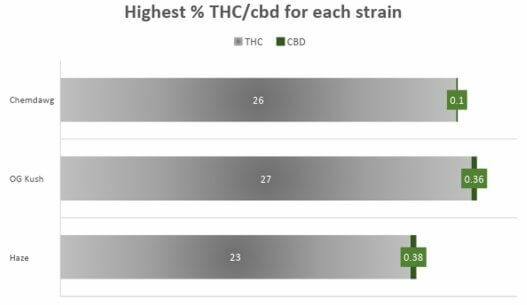 Chemdawg medical cannabis has THC levels as high as 28 percent. This makes it a powerful way to treat pain such as musculoskeletal pain. Some types of musculoskeletal pain include back pain, neck pain, sciatica, and wrist sprains. Chemdawg marijuana can also address inflammatory pain, this includes pain from arthritis and Carpal Tunnel Syndrome. THC and other cannabinoids have been shown to be powerful anti-inflammatory substances. Neuropathic pain can also be addressed with Chemdawg medical marijuana. Neuropathic pain occurs due to damage to the nerves. This damage can be the result of high blood sugar or mechanical damage which has since healed, but the pain signals in the nerves are still over-activated. This category of pain which can be attenuated by Chemdawg medical marijuana includes conditions such as peripheral neuropathy, fibromyalgia, and pain from Multiple Sclerosis. Chemdawg weed is often used to treat chronic stress and its effects. Chronic stress can lead to conditions of anxiety and depression. Chemdawg weed may be recommended by your doctor to help you ease an anxious, worried, or depressed mind. Chemdawg will provide an instantaneous euphoria and relaxation which will help you to cope. When the initial effects wear off, the anti-inflammatory action can cause a long-lasting positive effect by reducing inflammation in the brain which has been implicated in depression. Chemdawg cannabis can help address psychomotor agitation in ADHD. It can also have positive effects on the symptoms of dysphoria and tension which can present with ADD and ADHD. Chemdawg weed is a powerful weapon against nausea which can be caused by chemotherapy or radiation used to treat cancer and autoimmune conditions. It will also improve appetite which can help with wasting caused by such treatment and other conditions that cause muscle wasting or lack of appetite such as anorexia. 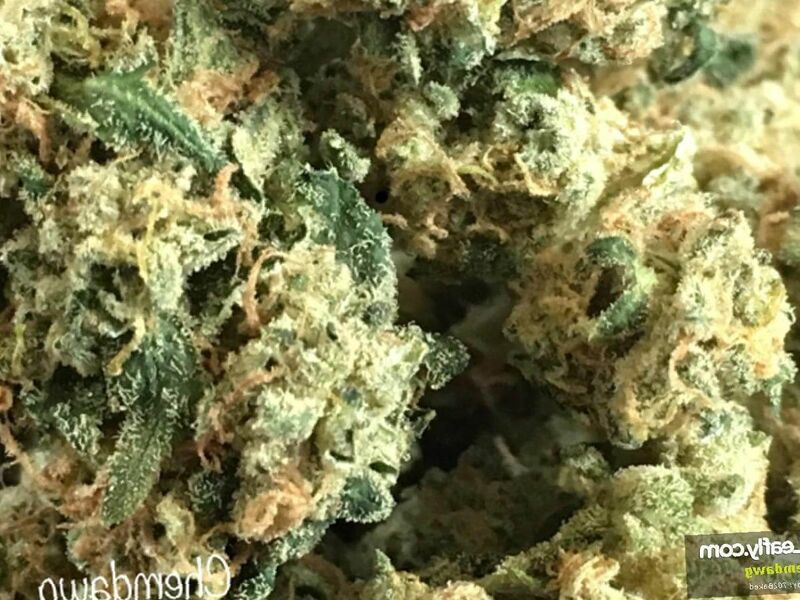 Chemdawg can provide the relaxation needed to put the worst insomniac to rest and may also be recommended for this indication by your physician. Chemdawg can be an intense high. It begins with a highly cerebral euphoria which can spark creativity in users. This can make it a good way to relax during a brainstorming phase of a creative project, or to dissolve social barriers to help you communicate with collaborators in music or other types of art projects. The initial rush is followed by a long period of mental and physical relaxation. You will be relaxed but not tired or lethargic, though the high can be very potent. If you have activities planned, you will want to carefully control your dose to get you just at the right spot where you can still accomplish your planned activity.